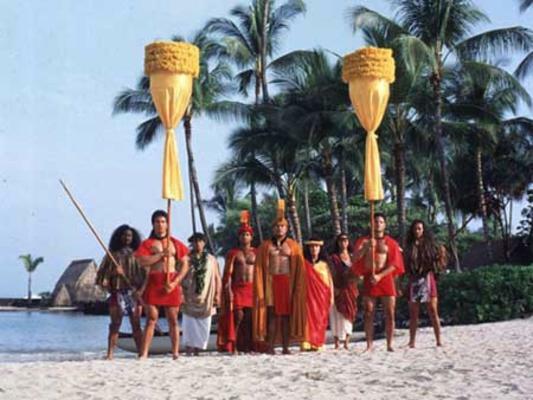 Treat yourself to a Royal Hawaiian luau held on the former estate grounds of Hawaii’s once great ruler, King Kamehameha. 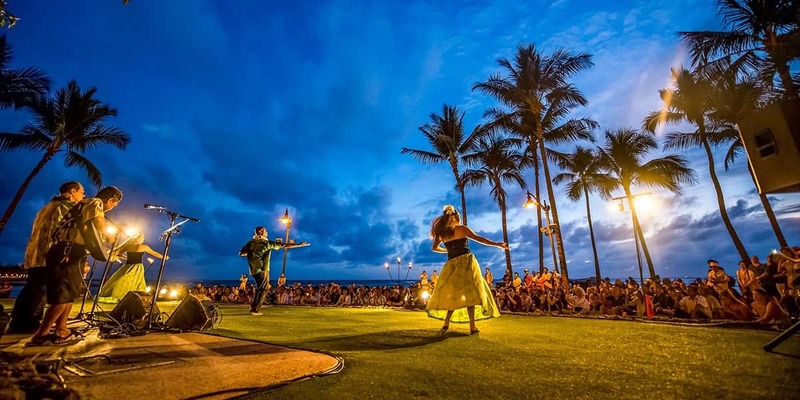 The Island Breeze Luau is deemed the best luau on the Big Island by visitors and locals alike! Upon arrival, receive a shell lei greeting at the King Kamehameha Kona Beach Hotel and then wander the grounds, taking in the beautiful scenery. 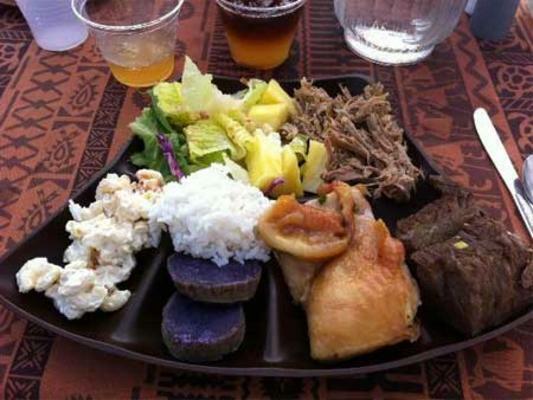 On Thanksgiving, Christmas Day and New Year’s Eve, a special menu is prepared for these Lu’aus and a holiday lu’au show is included. Please call us to book the Luau if you are reserving any of the above holiday dates! Location: King Kamehameha’s Kona Beach Hotel, Kailua-Kona, Big Island of Hawaii. Location Updated! – Temporary relocation due to tsunami: We are now located between the hotel towers in the garden until renovations to our regular lu’au grounds is finished. Because of relocation there is no imu ceremony. Upgraded (preferred package) seating also available during checkout process. Tuesdays | Thursdays | Sundays. Note: Parking available at King Kamehameha’s Kona Beach Hotel, validation given at luau. Parking is $1.00 with validation. Children under 6yrs admitted free. At your leisure, partake in Polynesian arts and crafts demonstrations and meet the cast of performers you see later in the Polynesian Revue. Take a break from the night’s activities to watch as the Royal Court processional arrives on foot. The true highlight of the evening is the dazzling Island Breeze Polynesian Revue with the dangerous and mesmerizing Samoan Fire-Knife Dance!